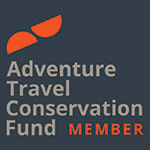 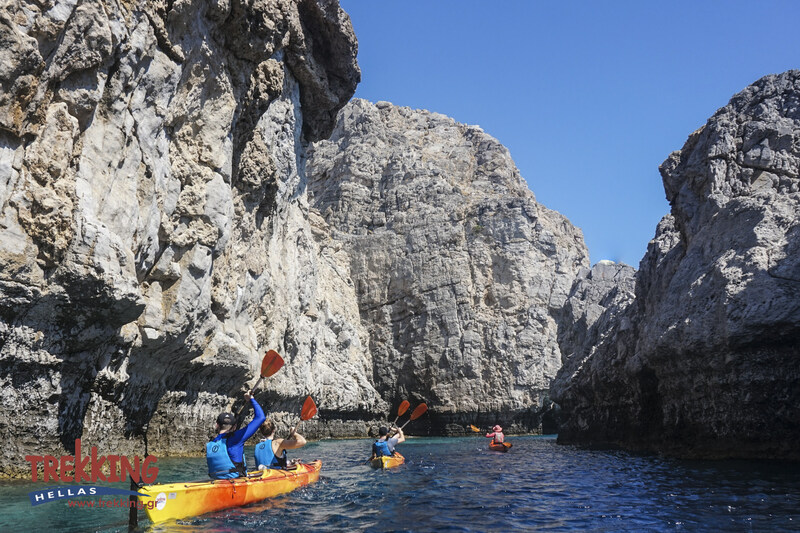 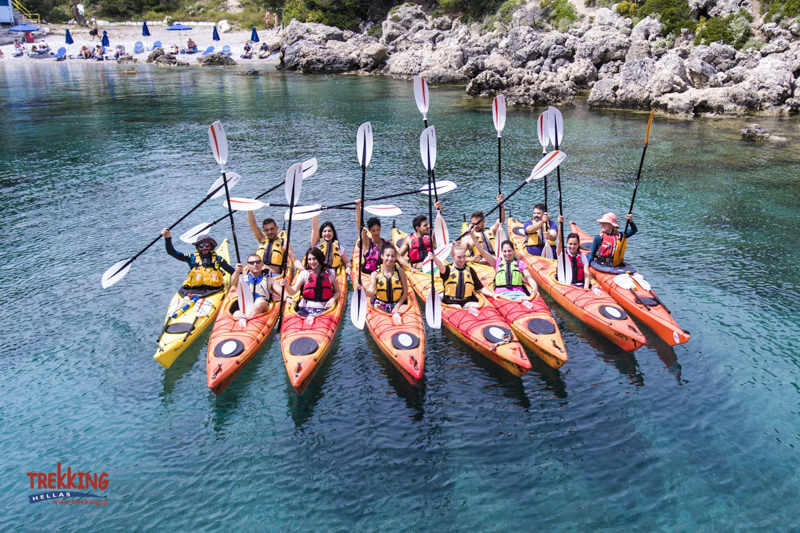 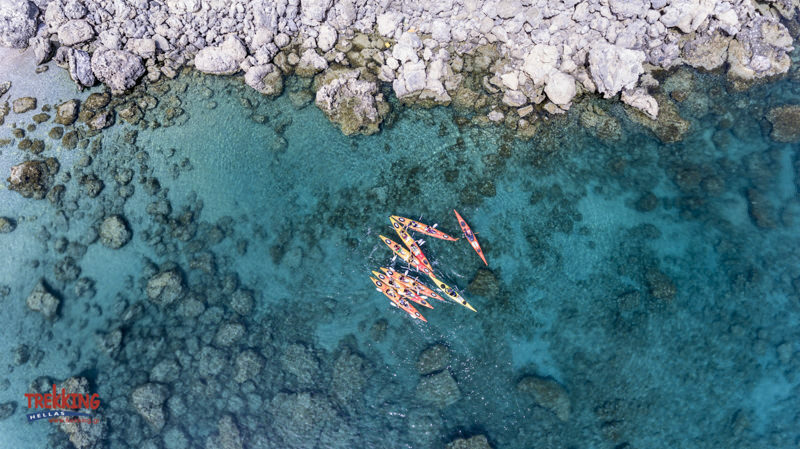 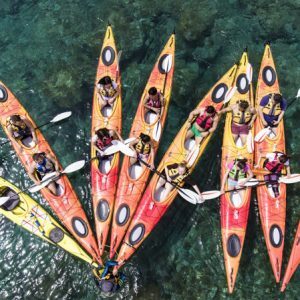 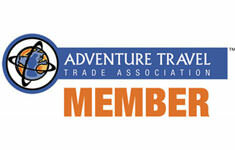 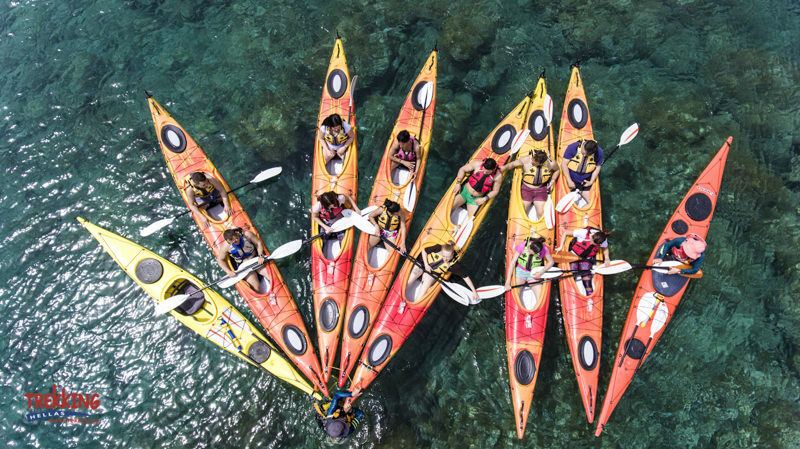 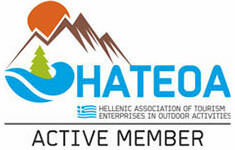 A sea Kayak exploration of the hidden treasures on the east side of Rhodes. 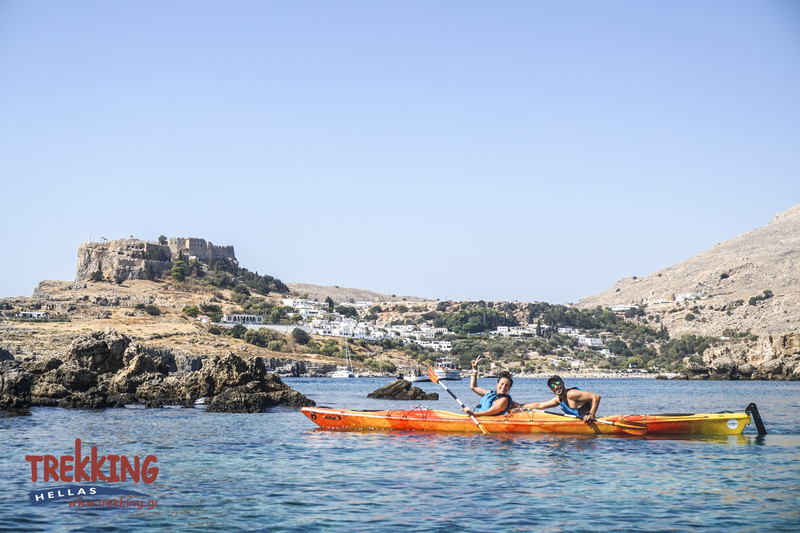 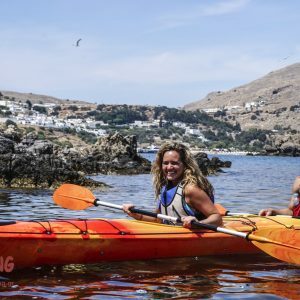 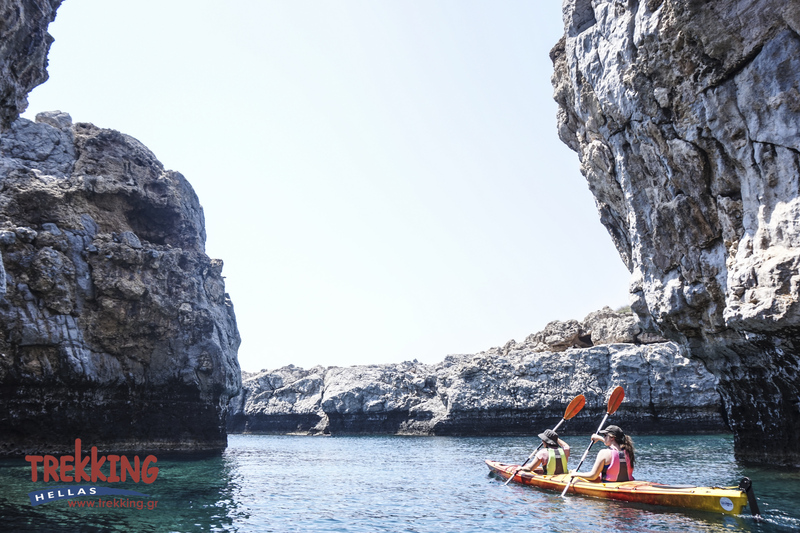 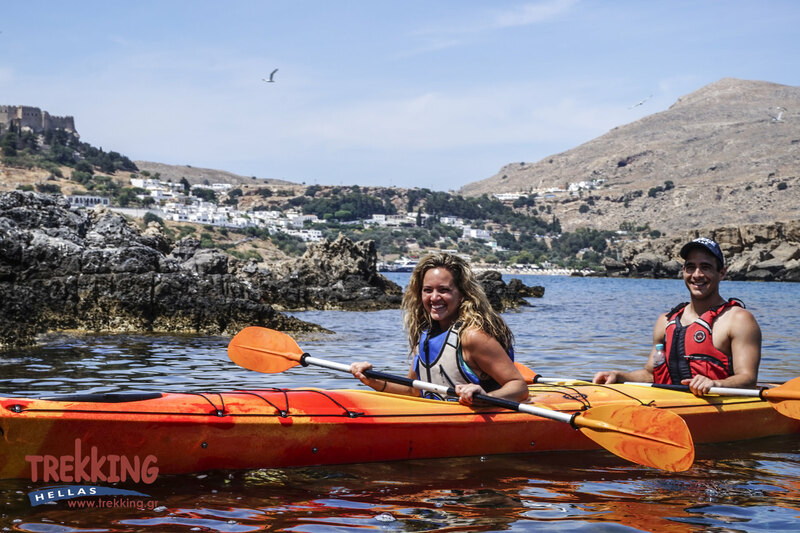 With a private transfer arranged for you, you arrive at the starting point of the sea kayaking activity, Vlicha Beach – located on the east side of the island, close to the town of Lindos. 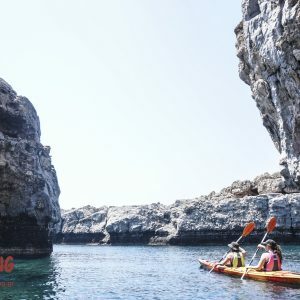 We paddle across the coastline, passing by beautiful rock formations and hidden caves. 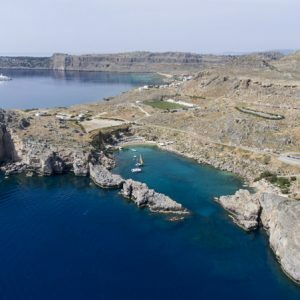 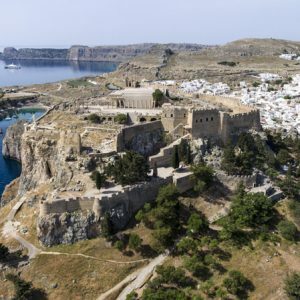 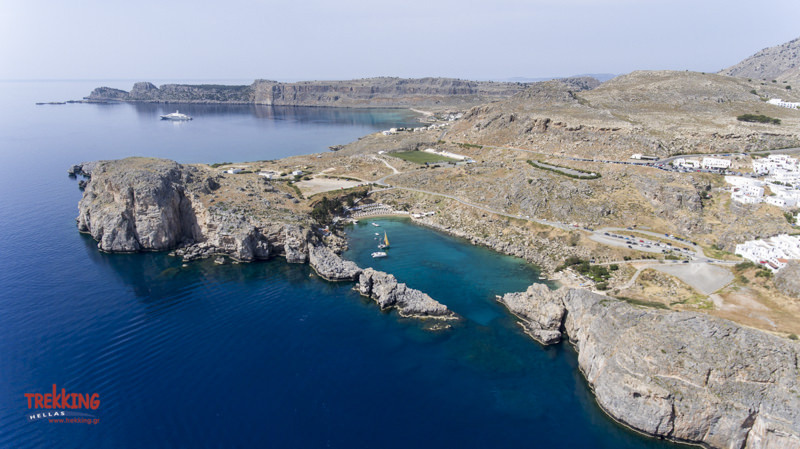 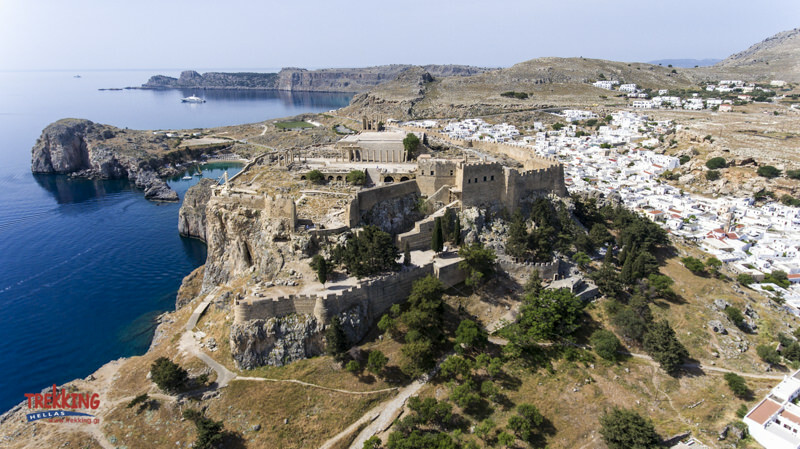 We explore St Paul’s Bay – nominated as one of the most beautiful bays of Europe, and we pass through an otherworldly “sea canyon”, until we reach Lindos, with its small cubic whitewashed houses. 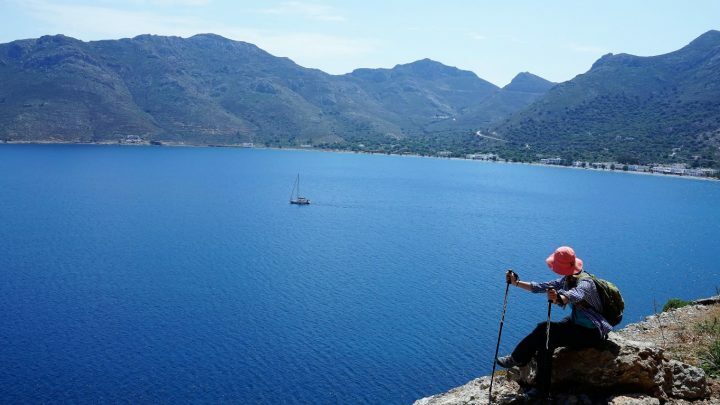 We enjoy a tasty nutritious lunch at a seaside tavern on the beach with delicious homemade Greek dishes. 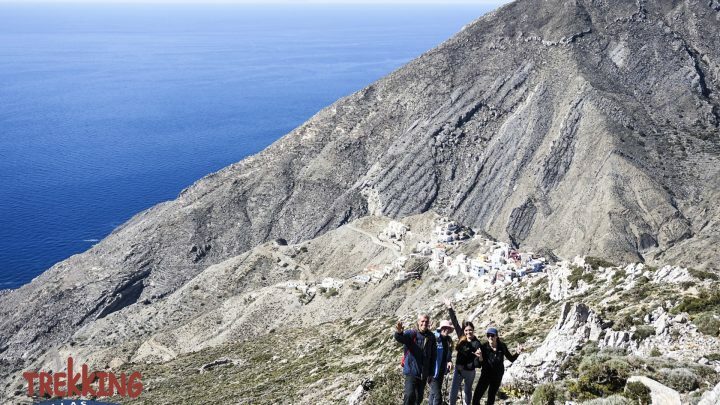 Then (optional) we start hiking uphill wandering through the city’s small and picturesque alleys. 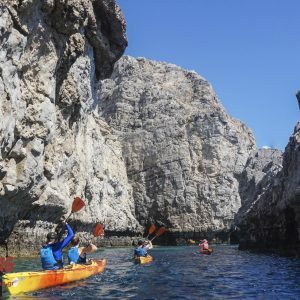 We learn about and visit Athina’s Temple and then we paddle back to the starting location, enchanted by the calmness of the scenery. 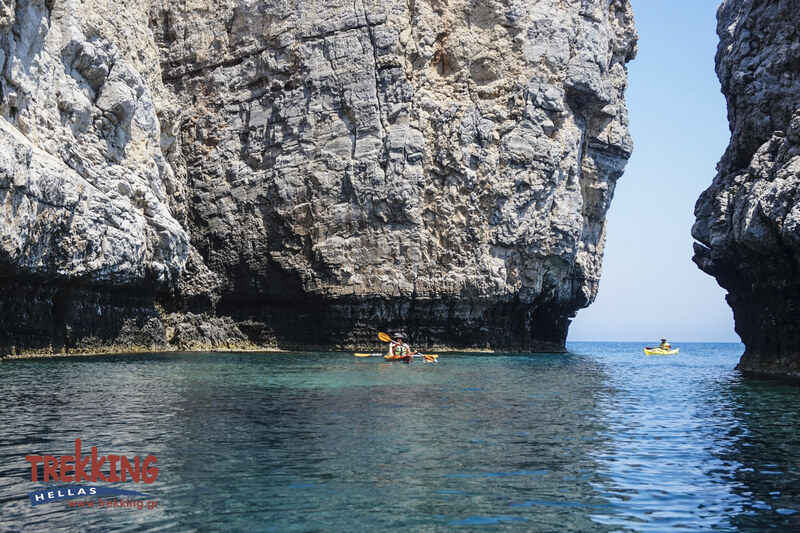 Before closing this day, a short stop for snorkeling is required, in a totally secluded bay. 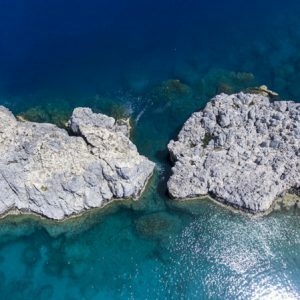 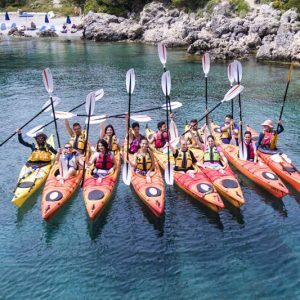 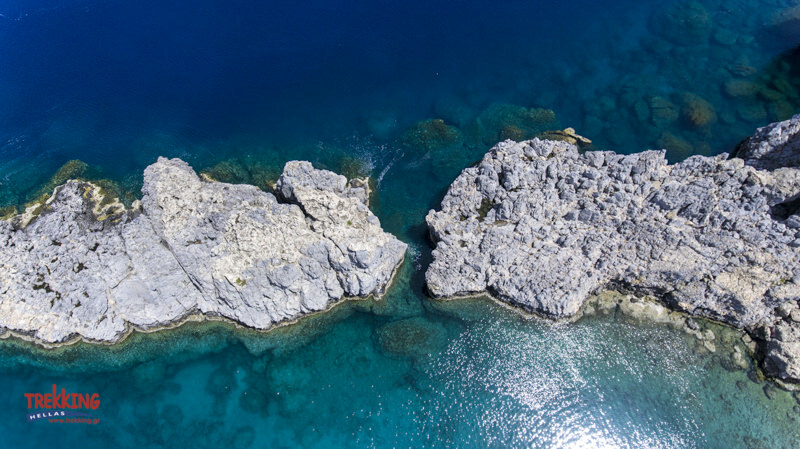 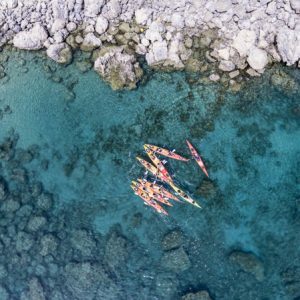 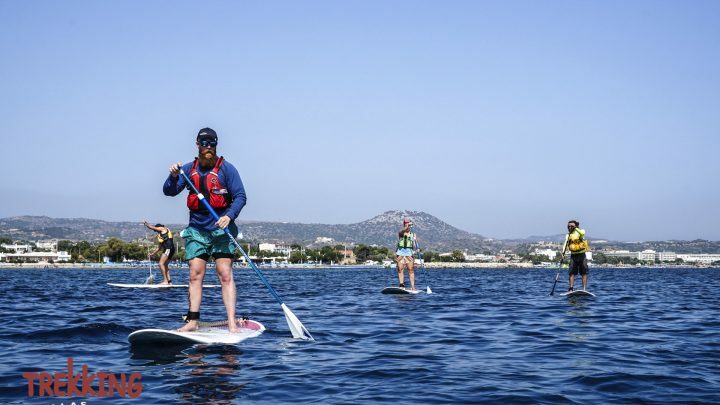 We paddle in the crystal clear waters of the Mediterranean sea while admiring the wonderful coastline and the temple of Lidian Athena (4th century BC). 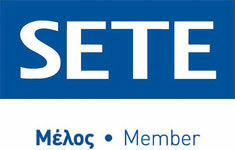 There is an extra charge for hotel pick up: Pefkos, Kiotari, Gennadi. 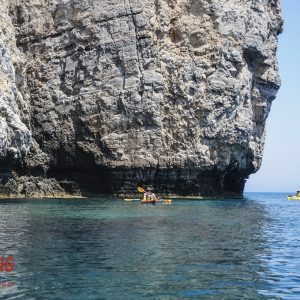 5€ plus per person round route.